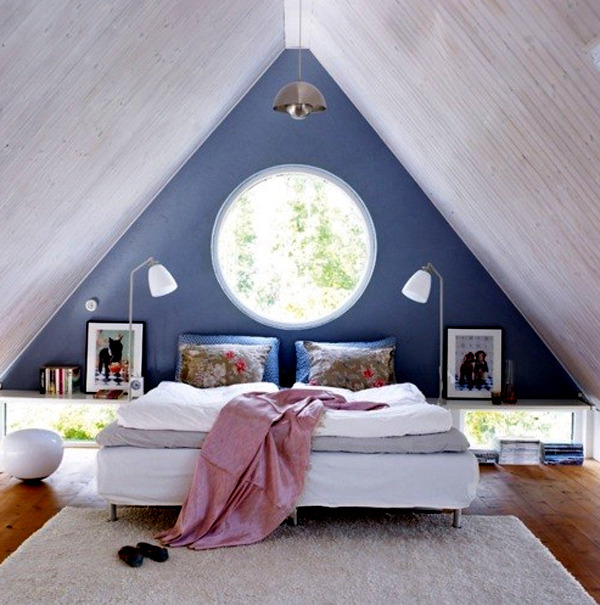 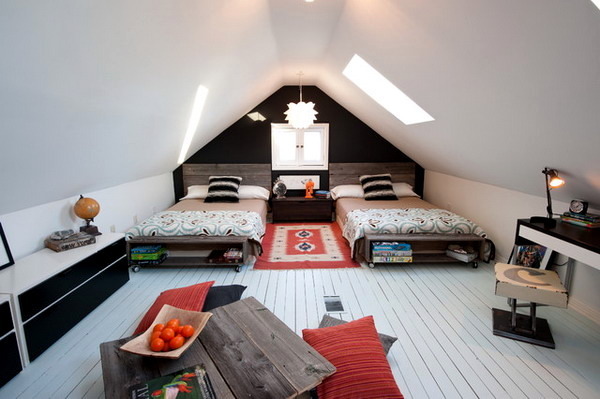 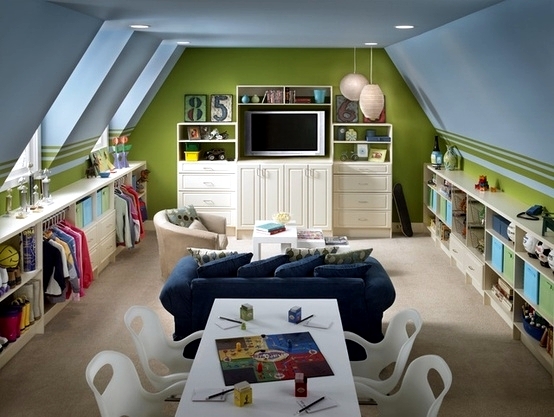 Although the rooms in the attic can be a big challenge, but they have great potential. 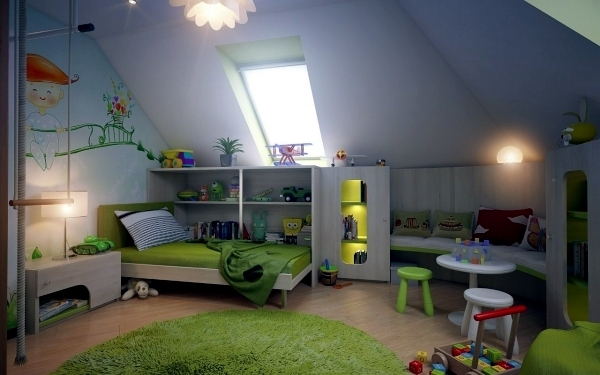 To avoid this waste of space, you can turn the beautiful attic. 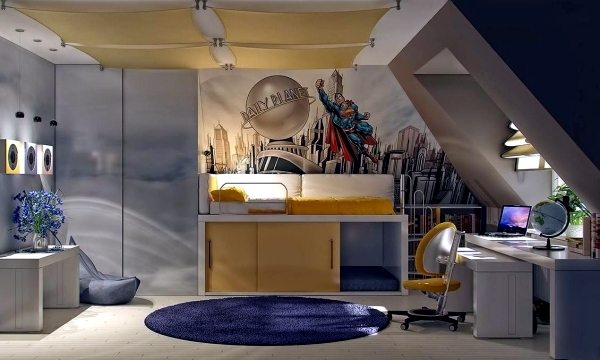 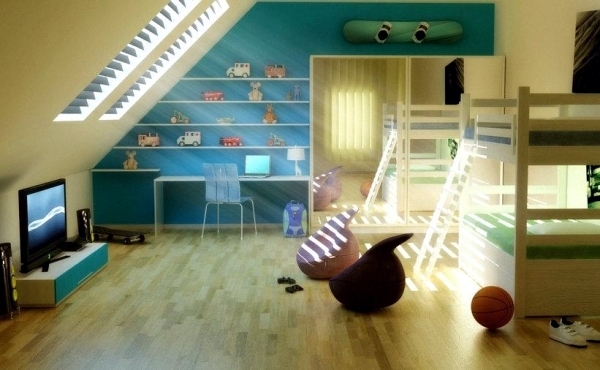 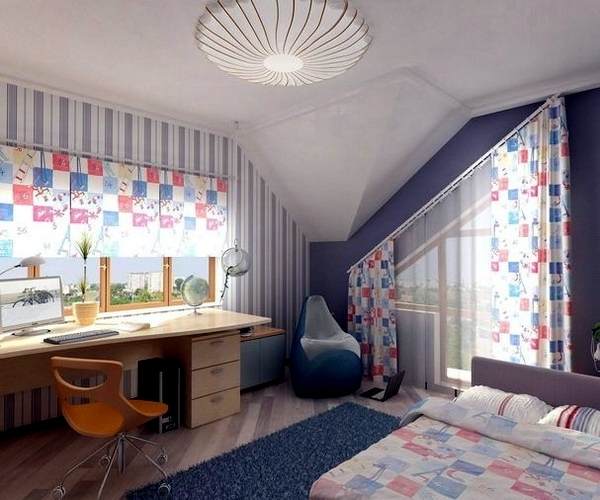 A home office, bedroom, Futnessstudio at home or .. You can create a unique and original room for your children. 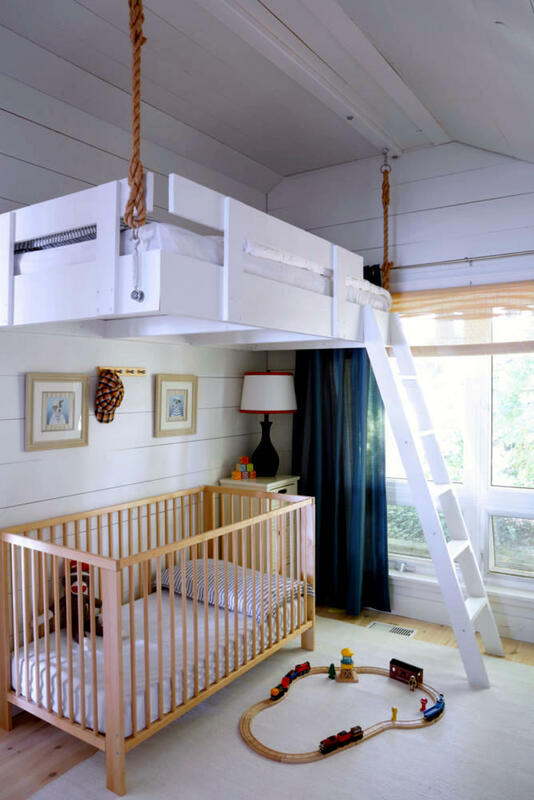 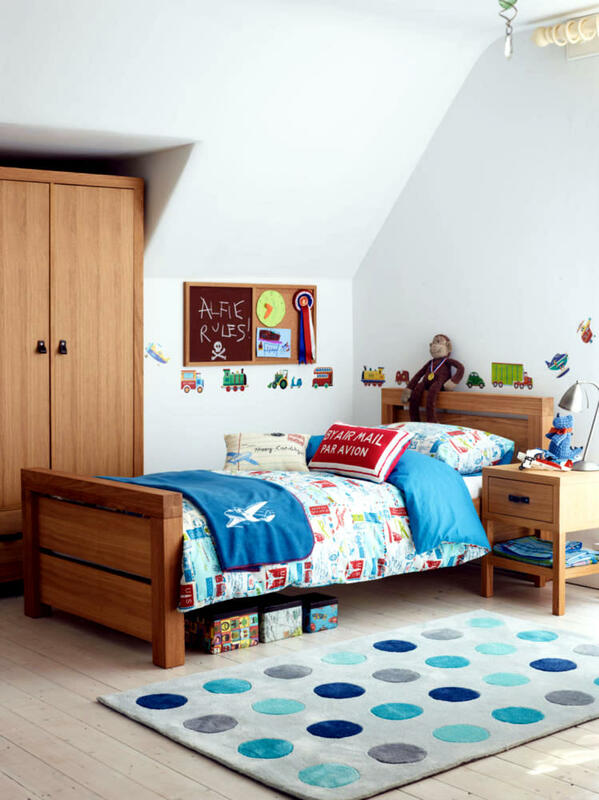 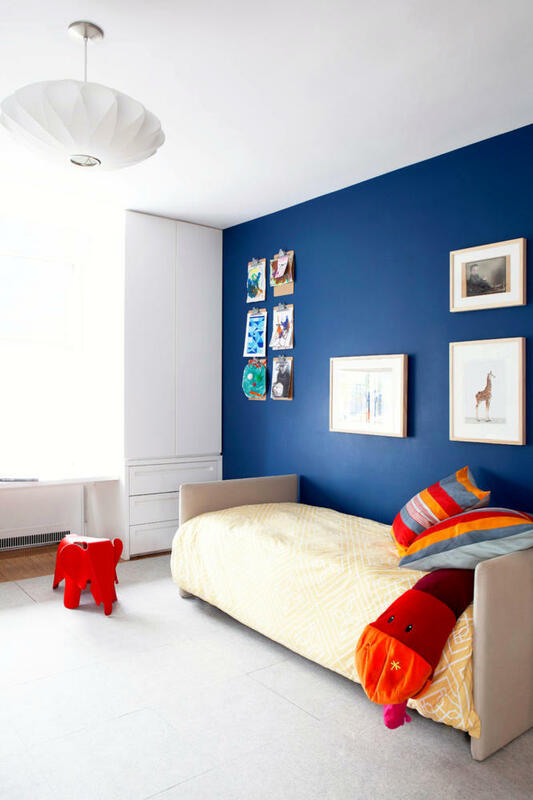 We offer some ideas for decorating children's room with a sloping ceiling that might give you inspiration on how to use the space optimally. 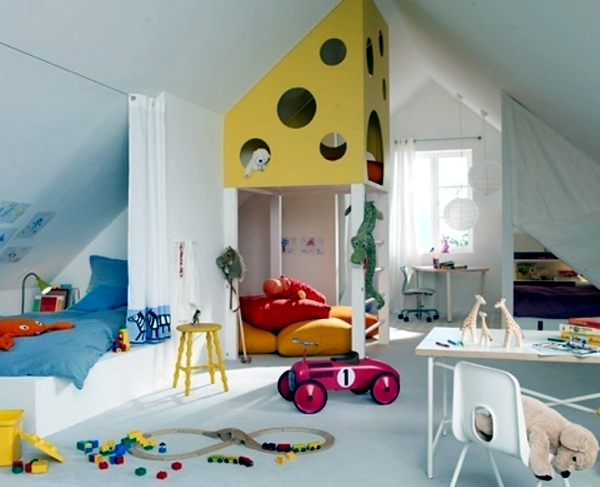 Note that our children like to build houses, tunnels and all kinds of caches pillows or boxes. 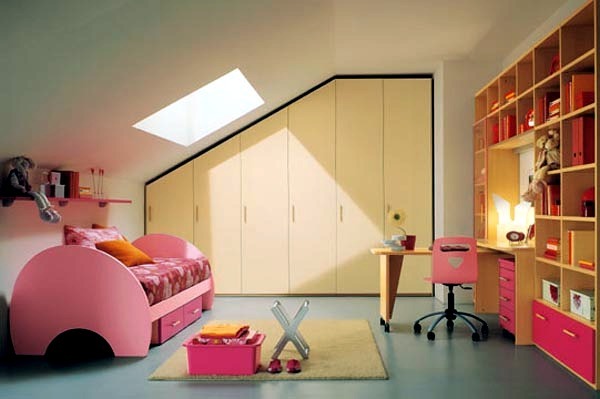 The loft is perfect for this because it usually provides enough space and can be isolated from other rooms. 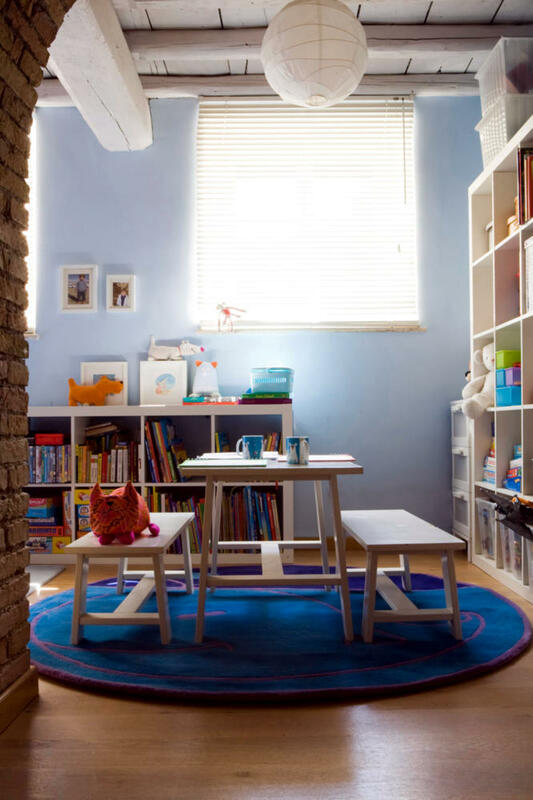 Think you could have your children just for an interesting inclined walls of the world and the unusual placement of windows, stairs ... 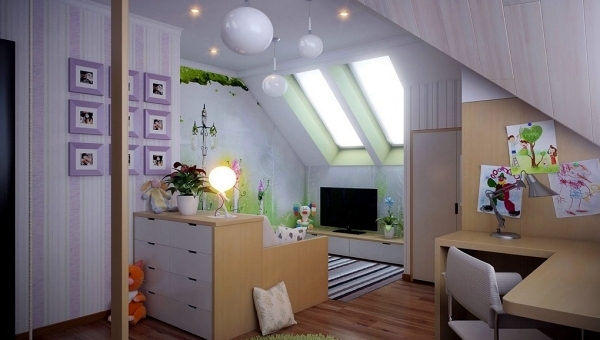 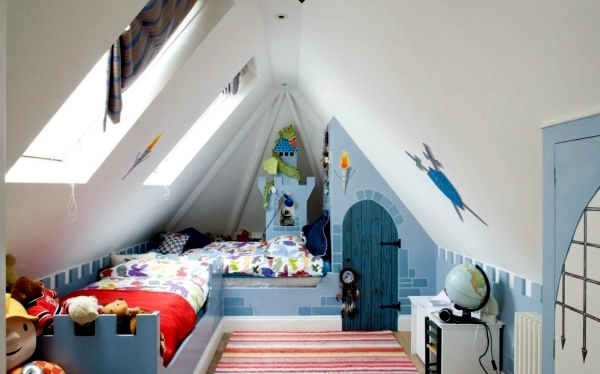 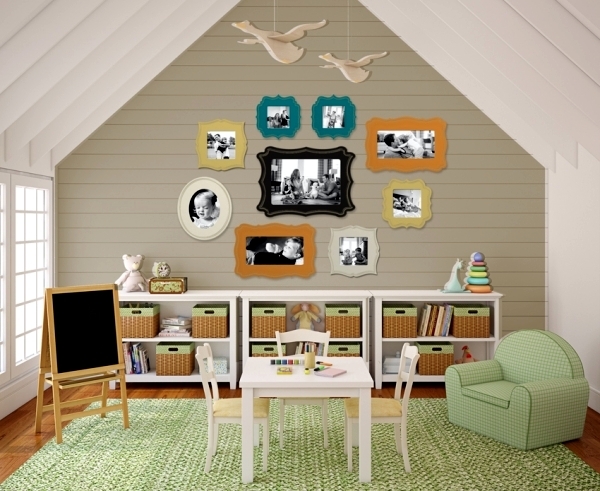 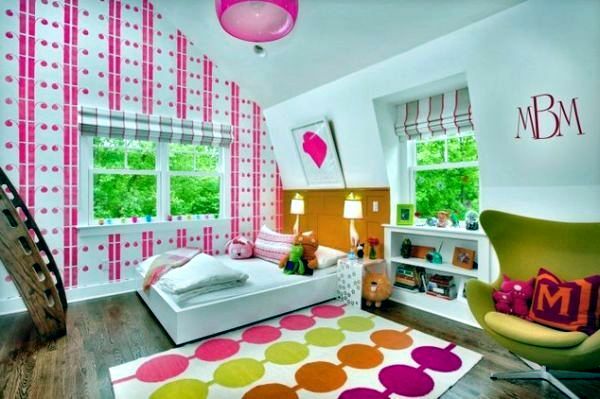 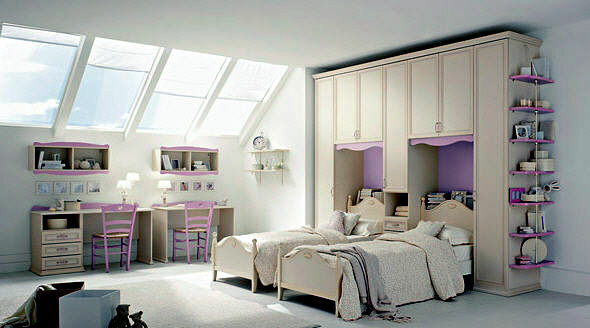 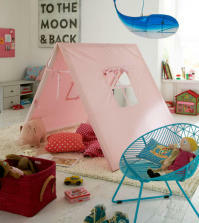 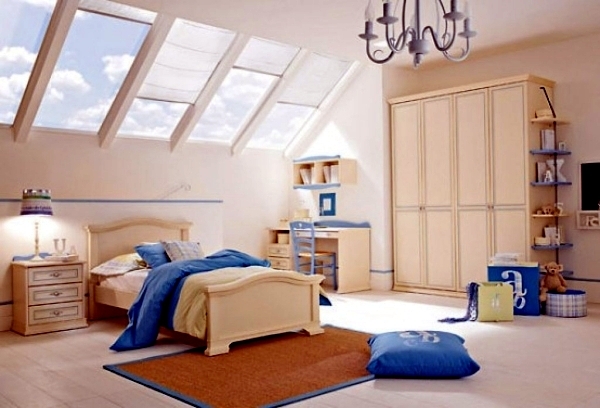 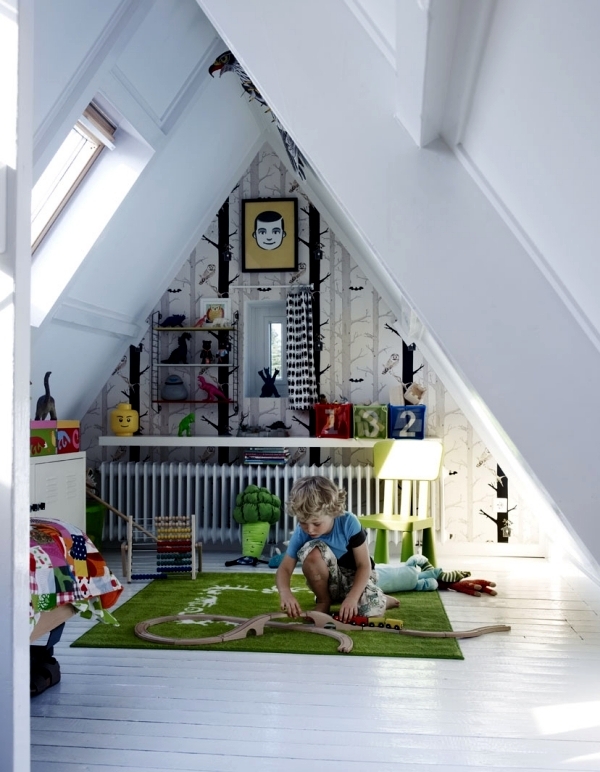 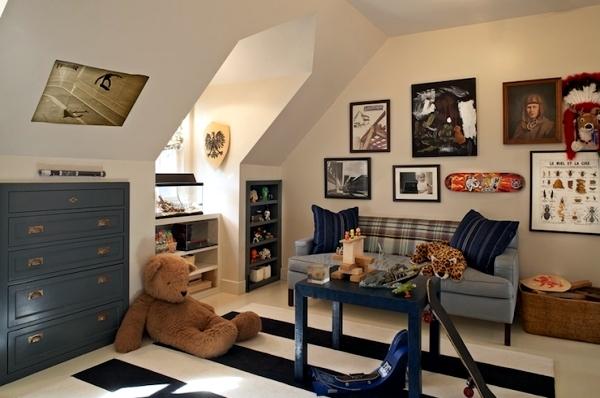 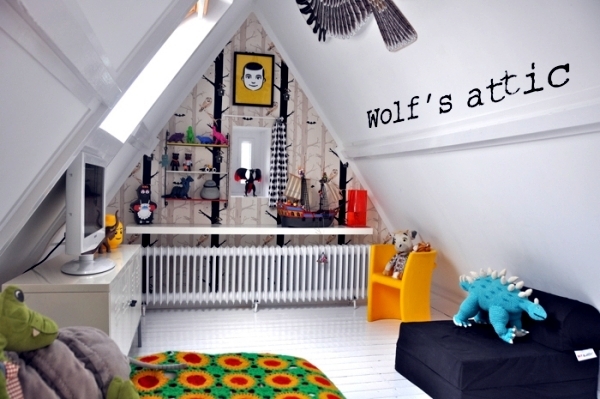 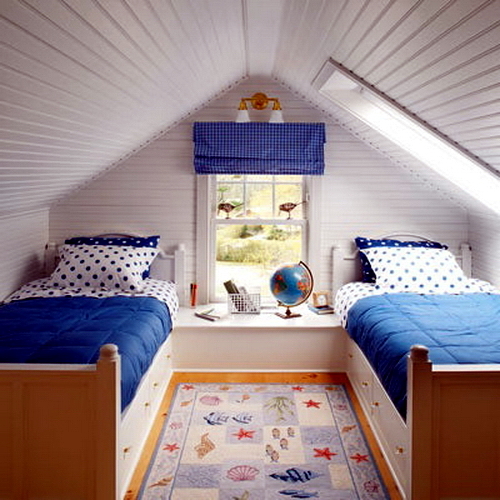 If you do not know how a child could look in the attic, then it's time to watch some fresh decorating ideas.